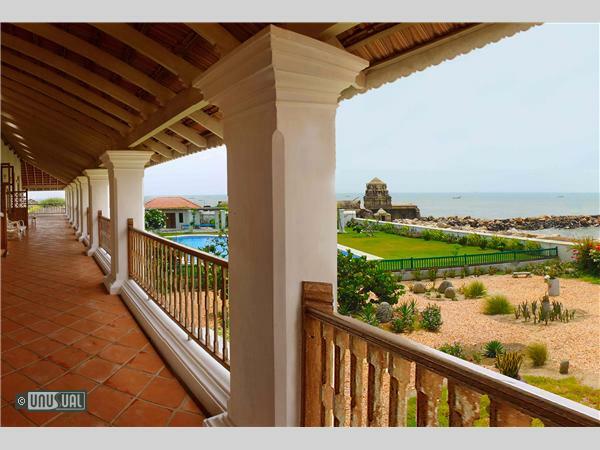 The restored Bungalow stands as a reminder of a Danish Governor and Admiral sent by the king of Denmark with two ships to open up the spice trade. Well received by the Nayak ruler of Tanjore and given this territory, the Danish East India Company built Dansborg Fort in 1620 to export pepper to Denmark. Thrangambadi, ‘land of the waves’ in Tamil, became Tranquebar for the Danes and still shares many connections with this far away land. The oldest Lutheran church in India was built here in 1706 following the establishment of a printing press and the translation of the Bible into the local Tamil Language. The Danes remained until 1845 when the territory was sold to the British Raj, and it became the home of British Administrator of the area. The property was sensitively restored in 2004. 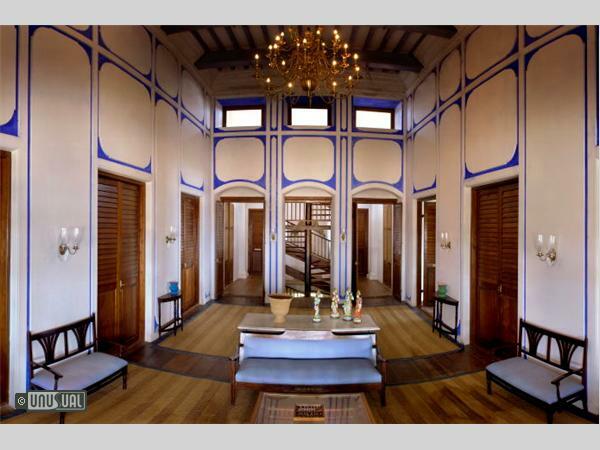 With it's high ceilings and grand courtyards it once again evokes the formality of a colonial heritage. 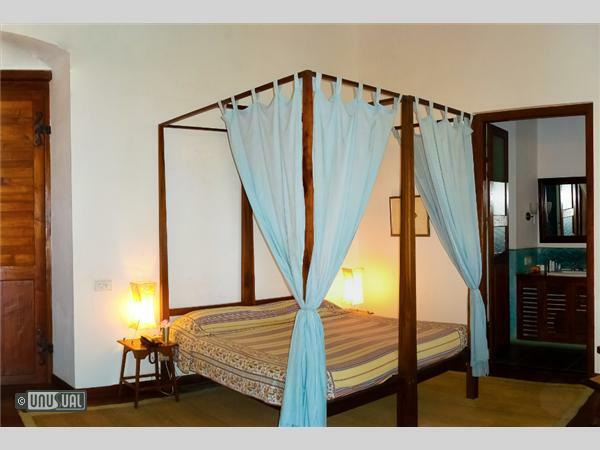 Each of the eight bedrooms has high ceilings and that great luxury when travelling, space. Sitting on the veranda surrounding the property to enjoy the afternoon sunset, with a long drink in one hand and a book in the other is about as relaxing as you could wish. Tranquebar is a Dutch, Danish, British Colonial heritage town of pristine beauty and perennial charm, situated on the Coromandel Coast in the Nagapattinam District in Tamil Nadu, South India. 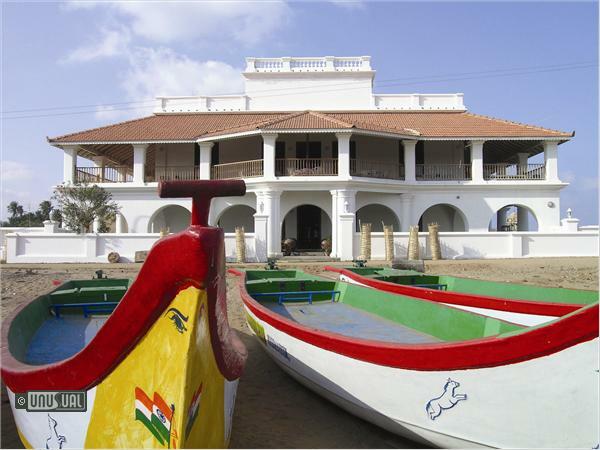 Tharangambadi, ‘the land of the singing waves’ as the town is known in Tamil, became Tranquebar for the Danes! This picturesque coastal town lies 15 km south of the ancient Chola port of Pumpuhar, and 15 km north of the former French comptoir of Karikal. Motivated by huge profit made by the British and the Dutch East India Companies and driven by the desire of the Danish Monarch to play a dominant role in the world trade of that time, the Danish East India Company was formed in Denmark in 1616. In 1620 a treaty was entered into between Christian IV, the king of Denmark and Ragunatha Nayak, the king of Tanjore by which the Danes were given permission to erect a fortress at Tranquebar (the Dansborg Fort) and pay an annual rent of Rs. 3111/-. 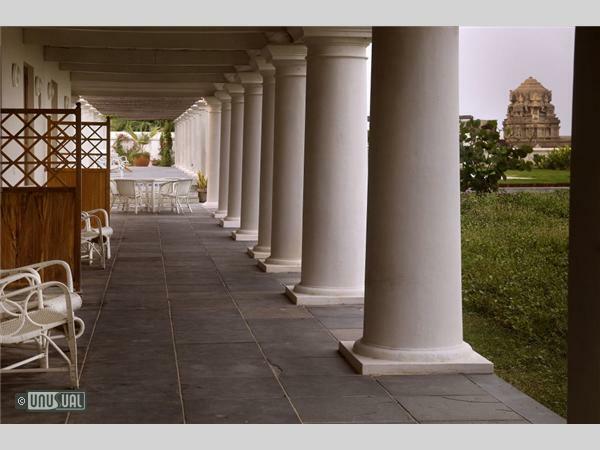 Till 1845 Tranquebar was a Danish Trade Settlement ruled by Governors, till the British took over its administration. Bartholomaeus Ziegenbalg and Heinrich Pluetschau, the German Missionaries from Halle sent by Frederick IV, the king of Denmark, to spread the Gospel in the Danish settlement, reached Tranquebar in 1706 and founded the Tranquebar Lutheran mission. A printing press was installed in the year 1712 and, in 1715, The New Testament, translated into Tamil by Ziegenbalg, was printed in the Tranquebar Mission Press. For the supply of paper and printing ink a Paper Mill and an ink manufacturing unit were established in nearby Porayar. Since Lutheranism spread to the length and breadth of India from here and a mint started functioning from 1753, Tranquebar is called “The Gateway of Protestantism to India”. Impressed by the Mission work of the missionaries the king of Denmark sent Moravians to Tranquebar in 1760 to do missionary work in the Nicobar Islands. Since 43 out of 73 Moravians met with untimely death due to tropical heat and yellow fever the enterprise in Nicobar was closed down in 1803. The 700 year old Masilamani Nathar Temple built in 1306 AD by the Pandya King Maravarman Kulasekara Pandyan is unique in its architecture. It was built combining Chinese architecture with Tamil architectural technique, possibly in an attempt to attract Chinese merchants who were visiting India. Tranquebar is also associated with personalities like the Governor General Peter Anker (a great painter), Catherine Worlee (the great beauty who was to become the Marchioness of Tallerand), Lady Clive, Mayuram Vedanayagam Pillai (the first Indian judge), Thillaiyadi Valliammai (a Tamil Satyagrahi who sacrificed her life in South Africa). Tranquebar is also famous for its train that functioned from 1926 to 1986. 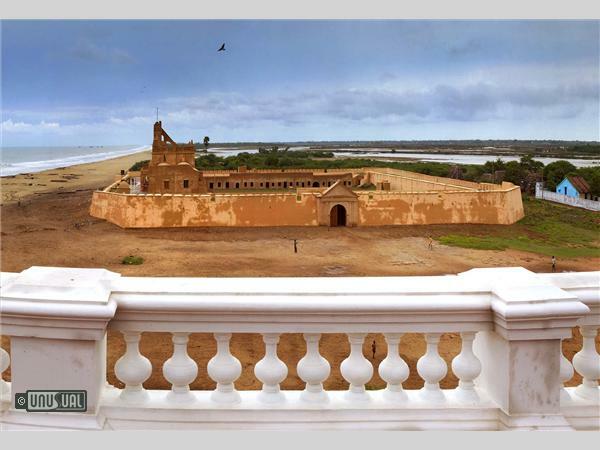 The Tsunami hit Tranquebar on 26.12.2004 and nearly 800 persons died, mostly women and children, but the 400 year old Danish Fort was not affected. Each room is named after Danish ships of the period – which were themselves named after their patrons or figures from the period. Rooms prices vary according to size and season from R4,000-R6,000. 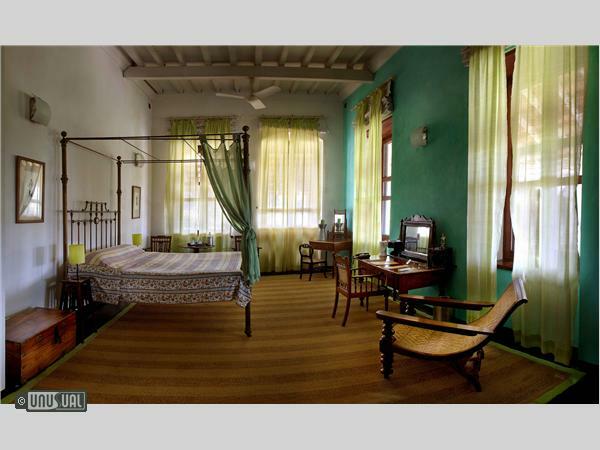 This room is named after a Danish ship which sailed to Tranquebar (named after King Christian VII of Denmark and Norway). It is situated on the first floor level in between Princess Louise and Countess Moltke and has views of the garden. A contemporary four-poster bed in peach commands the tone of the room while an old colonial almirah and desk lend it the coastal charm. The high louvered doors and the woven, striped sea grass mat announce the coastal flavours. 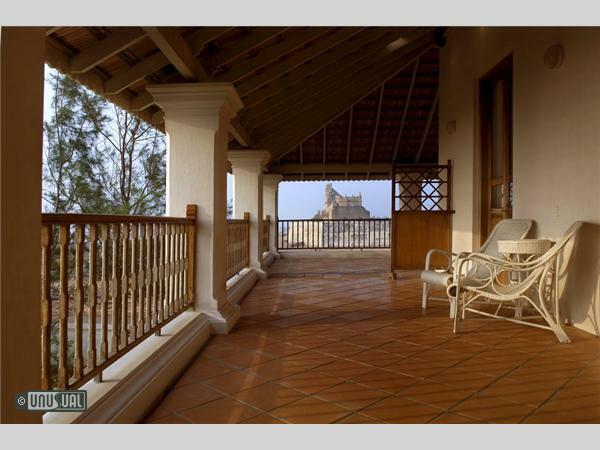 It is situated on the first floor level and has access to the verandah that faces the garden and the Dansborg Fort. 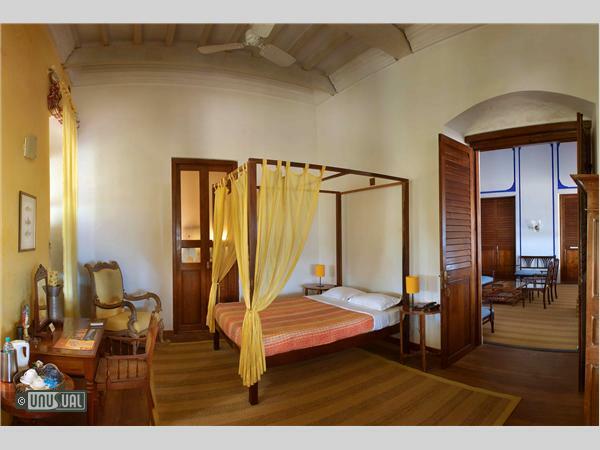 A contemporary four-poster bed in lemon commands the tone of the room while an old colonial almirah and desk lend it the coastal charm. The high louvered doors and the woven, striped sea grass mat announce the coastal flavours. The antique rocking chair is a perfect place to sit and catch up with leisure reading. Situated adjacent to Prince Christian on the first floor level, this room has pale blue interiors which evoke the same peaceful feeling as the sea view does. 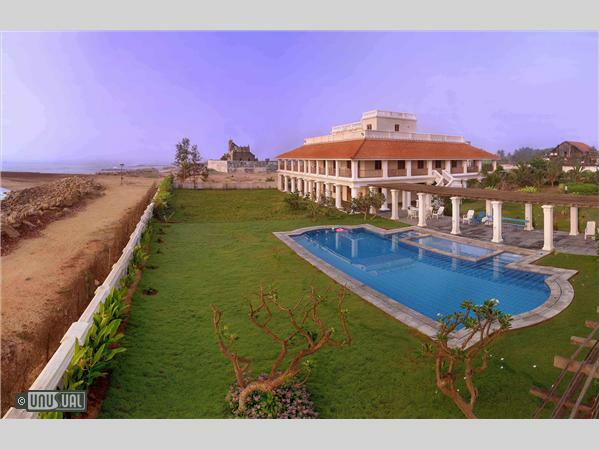 Walk on to the veranda to enjoy the sea breeze and 180 degree views of the sea and surroundings.